As of Friday morning, Milwaukee's homicide total for 2016 stood at 141, just shy of last year's official total of 145. Several cases from the last 12 months stand out. In early March, a Hmong couple, Phia and Mai Vue, and a Puerto Rican man, Jesus Manso-Perez, were shot to death by a neighbor at their apartment complex. It may have been a racially-based hate crime. 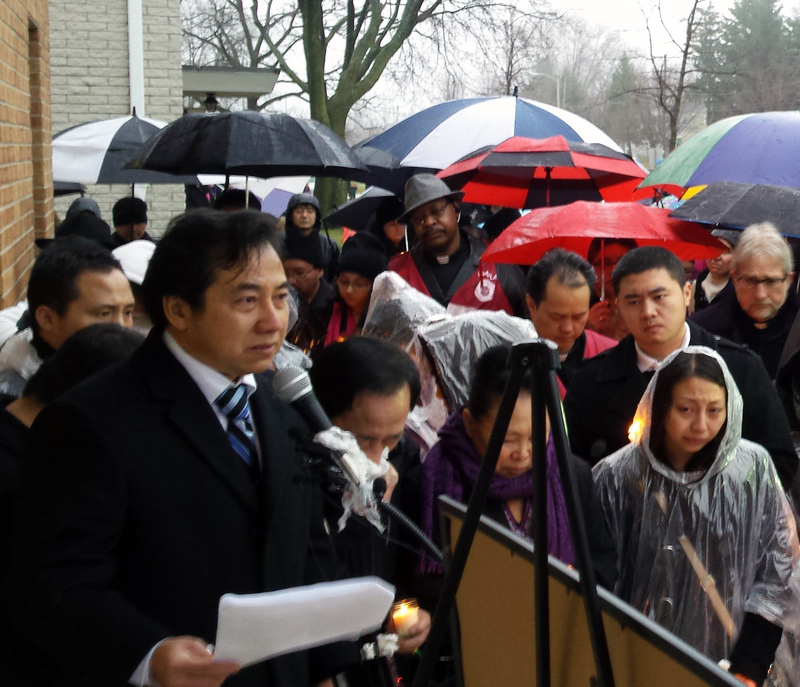 "Our anger rises to those who have brought down these feelings to us," Pao Vue, a relative of the murdered couple, told a crowd of mourners at a rain-soaked vigil a few days after the killings. Similar feelings of sadness and anger were stoked this year by killings of children. According to The Milwaukee Journal Sentinel's Homicide Tracker page, 6 percent of this year's homicide victims were under 18. One of them, 15 year-old Melanie Johnson, an African-American, died this month when her home was hit by gunfire. At a preliminary hearing Dec. 27 for one of the alleged shooters, Milwaukee Police Department investigator Kyle Mrozinski testified about a medical examiner's autopsy of the teen. "(The medical examiner) observed two bullet wounds to the victim. One to the left chest area, one to the left arm. He ruled her death a homicide as a result of these gunshot wounds," Mrozinski said. Johnson died just a few blocks from St. Gabriel Church of God in Christ. Minister Gregory Lewis is assistant pastor there. 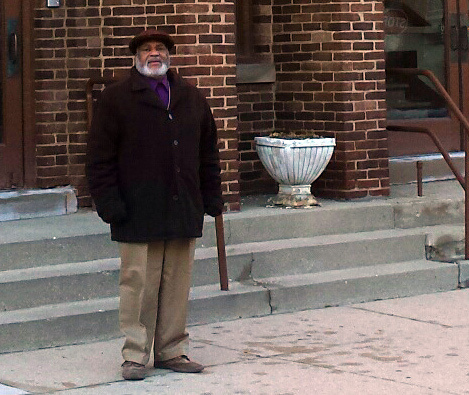 He's also president of Pastors United, a group of African-American clergy who've been trying to prevent homicides. Lewis said part of the ongoing problem is individual behavior. "There's a lot of people who, I don't think they're thinking. I don't think there's a lot of thought put into making things better for one another, " he said. "There's a lot of disrespect and an uncaring attitude, and it's become stylish now to be disruptive." But Lewis also said there are big-picture concerns about drugs, guns and lack of jobs, especially in some poorer African-American neighborhoods. Police data show most Milwaukee homicide victims are African-American males, age 18-40, killed by gunfire. Lewis says if he could get Gov. Scott Walker's attention, he'd ask Walker to add more funding for education and job training for Milwaukee in the upcoming state budget. Milwaukee Mayor Tom Barrett has said he'd like to see the governor and Republicans who control the Legislature restore money cut from shared revenue over the last decade, and put it into helping Milwaukee sustain its additional spending on police. "I have a lot of legislators, particularly from outside the city, who say, 'Well, the city has to do more about public safety.' And my response is, 'Look, we're putting $127 million more into our budget for police. The state's putting $12 million less in for the needs of the community, and you're talking to me?'" Barrett said he can't guarantee Milwaukee homicides would go down, but said many experts believe a stronger police presence would make a difference. While there's more budget talk ahead, Gregory Lewis, the Milwaukee pastor, is getting St. Gabriel's ready for a solemn event Friday night. In the church sanctuary, an annual reading of the names of Milwaukee homicide victims will be conducted. Lewis said he hopes it helps the families who have lost loved ones. "Do you know how they feel? You'll never know. But you can empathize, you can support them, you can support those families," he said. The families have not only lost a relative, Lewis said, but may be trying to cope with depression, unpaid bills and other problems stemming from the typically sudden deaths of homicide victims.